Retail billionaire Sir Philip Green has been named in Parliament as the businessman accused of sexual harassment. Lord Peter Hain, who identified him in the Lords, said it was his duty to name him, given the “serious and repeated” nature of the allegations. On Tuesday, the Telegraph ran an article accusing an unnamed businessman of racial and sexual abuse of staff. A legal injunction prevented the Telegraph from publishing his identity. The legal injunction has not been lifted, but Lord Hain’s statement, made under Parliamentary privilege, has been widely reported in the UK media. The BBC has not been able to verify the allegations contained in the Telegraph’s report. The newspaper said it spent eight months investigating allegations of bullying, intimidation and sexual harassment made against the businessman. Interviews with five members of staff had revealed that victims had been paid “substantial sums” in return for legal commitments not to discuss their experiences, the Telegraph reported. Lord Peter Hain said he had been contacted by someone “intimately involved in the case”. He said that given the use of non-disclosure agreements “to conceal the truth about serious and repeated sexual harassment, racist abuse and bullying”, he felt it was his duty under Parliamentary privilege to name Sir Philip as the individual in question. Lord Hain said publication of the story was “clearly in the public interest”. Sir Philip has been contacted by the BBC for comment, but did not immediately respond. 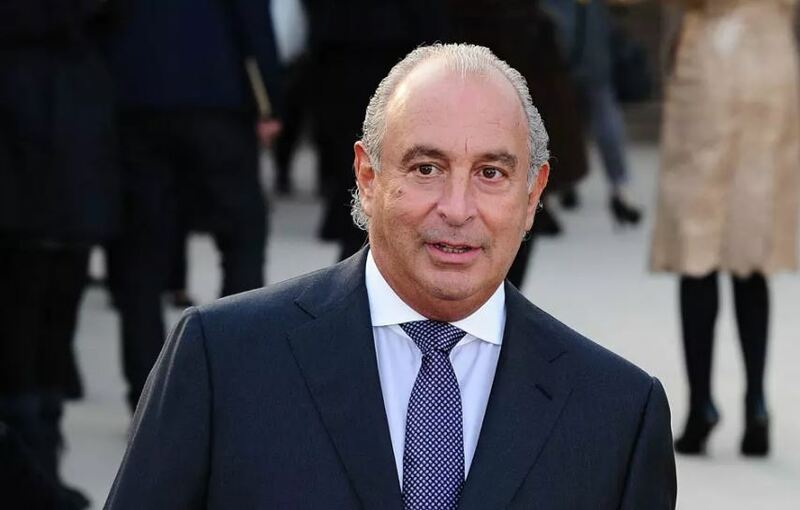 Sir Philip Green is the chairman of Arcadia Group, a retail empire that includes Topshop, Topman, Wallis, Evans, Miss Selfridge and Dorothy Perkins. The tycoon’s life story is rich in character and anecdote, from his failed attempts to take over Marks & Spencer to the lavish lifestyle that has attracted accusations of tax avoidance. In 2016, he was branded the “unacceptable face of capitalism” after BHS, the retail chain he sold in March 2015 for £1, went into administration leaving a £571m hole in its pension fund. MPs claimed that Sir Philip had extracted large sums from BHS and left the business on “life support”.